Our product range includes a wide range of mechanic tools, plier- vde plier set, torque wrench, facom hand tools and kennedy hand tools. We are the leading trader, distributor and supplier of supreme quality range of MECHANIC Tools - 46 PIECES 1/4 & 3/8 DRIVE SCOKET SET & BIT SET. These tools are developed by vendor’s trained professionals, acquiring enormous industry-experience and acquaintance in this domain. The offered tools & instruments are accessible in various modified options as per requirements of our customers. These tools & instruments are designed by using superior grade unfinished material and updated technology. Additionally, we are supplying these tools & instruments within stipulated time frame. We are engaged in trading, distributing and supplying Stanley PLIER - VDE-PLIER SET. These hand tools are admired for its performance & quality in the market. The hand tools offered by us are made according to the customer’s desires under the observation of professionals & utilizing finest material. In order to supply the flawless range at our client's end, these hand tools are properly examined under the guidance of vendor’s quality specialist against various parameters. 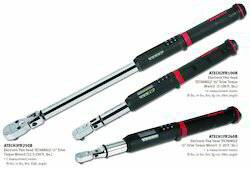 Customers can avail from us a quality assured gamut of TORQUE WRENCH. The given range of hand tools are developed consuming optimum grade raw material and highly advance technologies. In order to make certain the quality of these hand tools, our vendor’s quality experts check these in terms of quality. 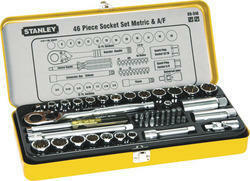 Additionally, these hand tools are highly valued in the market for their excellent quality and durability. 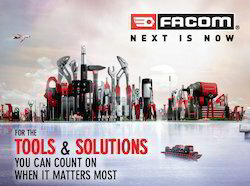 We have marked a distinct position in the market by offering superior quality Facom Hand Tools. Our offered hand tools are broadly demanded in the market for their design and durability. These hand tools are made by utilizing fine grade material and leading techniques in accordance to market norms. Along with that, the hand tools offered by us can also be provided in several modified options as per the numerous requirements of our customers. 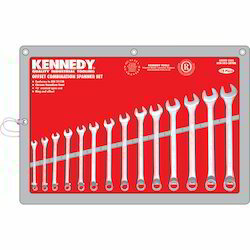 Backed by the rich industry experience and knowledge, we are providing excellent range of Kennedy Hand Tools. The hand tools offered by us are accessible in diverse sizes and have gained huge value for their dimensional accuracy & less maintenance. These hand tools are developed by utilizing finest grade unfinished material and progressive technology in accordance with predefined norms. Additionally, these hand tools are examined by vendor’s competent experts against various provisions of quality.